Keeps the foot cool, get rid of burns and bad smells. Try it. 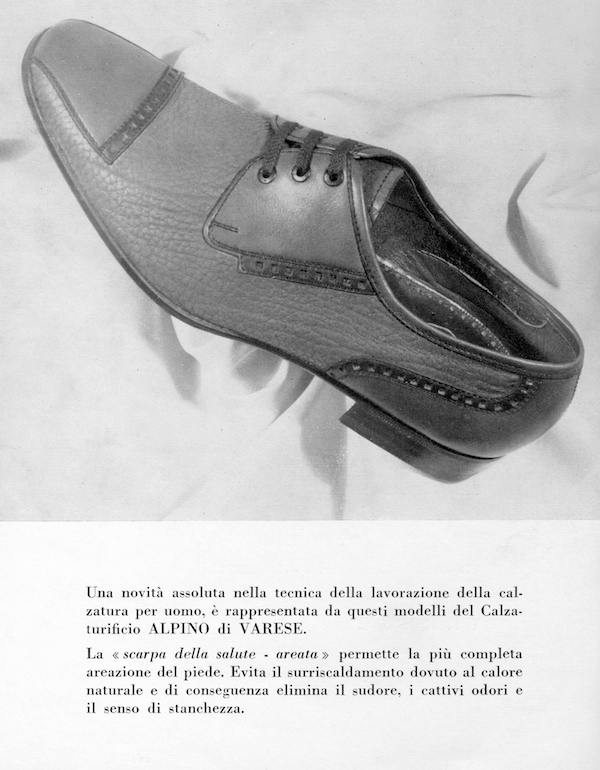 These models, brought to you by the Calzaturificio Alpino, feature a brand new technique in men’s footwear. The "health shoe - ventilated” allows for the most complete foot ventilation. Prevents overheating and thus eliminates sweat, bad smells and tiredness. It is the ideal shoe for those who suffer from these disadvantages. The air filters through the holes inserted in the upper, sole and insole, and by forced circulation, cools the foot. 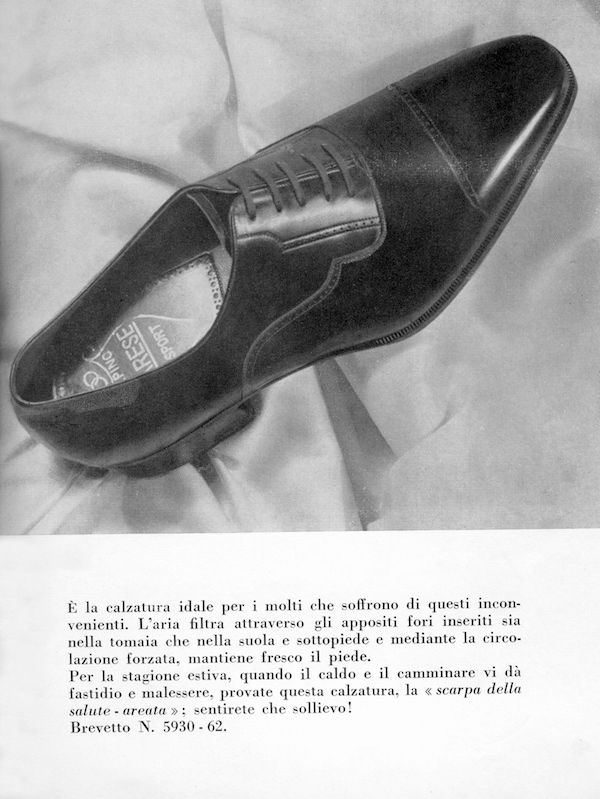 For the summer season, when warm weather and walking make you sick and uncomfortable, try this shoe, the "shoe of health - ventilated”; it will be a relief! 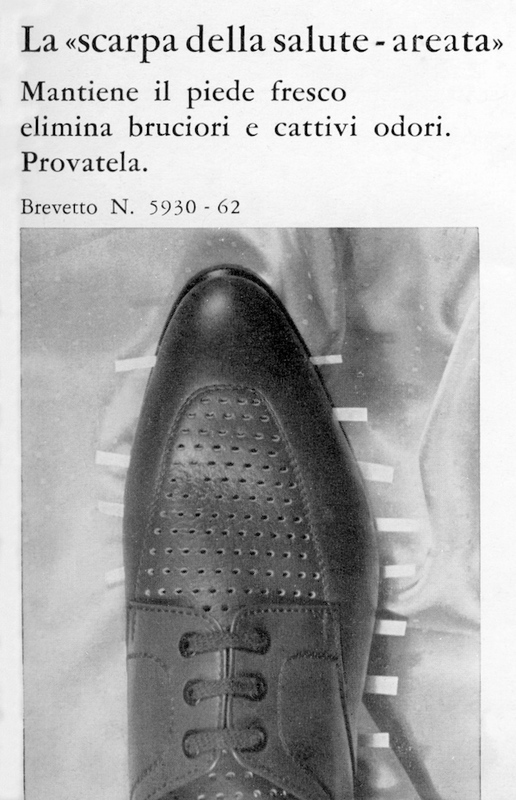 It goes without saying it wasn’t “a brand new technique in men’s footwear”, Aerata Medusa did it first back in 1933 but they were done & dusted by the Fourties. 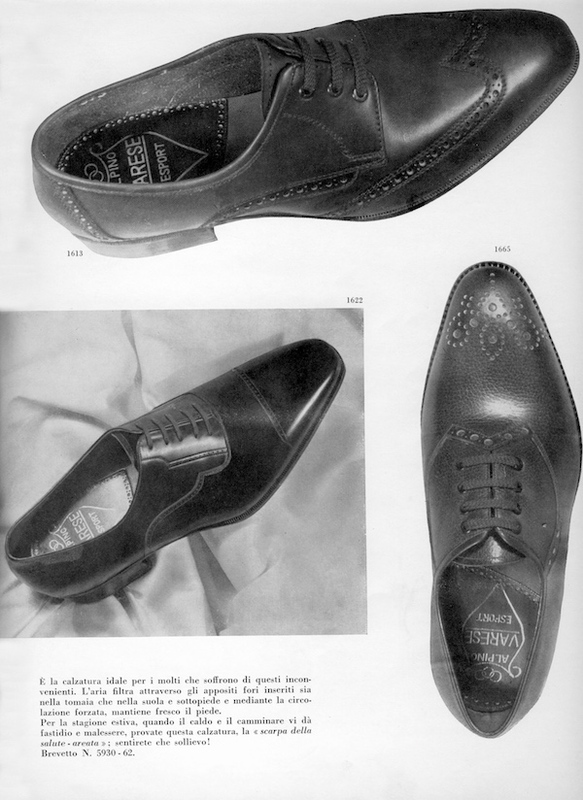 Also, someone else invented the same breathable shoe in more recent times. Ovviamente la scarpa che respira non era affatto una novità: il marchio Aerata Medusa l’aveva brevettata trent’anni prima, ma già’ nel decennio successivo se ne erano perse le tracce. La stessa idea/concetto é stata nuovamente inventata in tempi più recenti.